During the annual after-season press conference, held on Tuesday, President of Baseball Operations John Mozeliak and GM Michael Girsch, outlined the team’s plans for the offseason. The need for an impact bat in the lineup has often been mentioned as the major area of improvement for the team. Both Mozeliak and Girsch indicated that the search for the impact hitter will occur this offseason. Mozeliak did not specify in where that bat would be slotted, only that the lone position on the field with an occupant set in stone is catcher, where Yadier Molina is under contract for three more years. Mozeliak added that the Cardinals have the flexibility to seek that impact player through both free agency and trade. Because the Cardinals have not had a draft pick high enough in the draft to fill that hitting spot from within the organization, going outside appears to be the only option. The organization had seen Oscar Taveras as the possible successor to Albert Pujols, but his untimely death in 2014 left a hole still to be filled. Adding that impact bat is not the sole goal for the Cardinals offseason, however. Shoring up the back end of the bullpen, especially in the ninth inning role, and rotation depth, are also needs Mozeliak and Girsch see. The closer role could be filled internally by allowing a current pitcher to grow into it, or through free agency or trade. Topics also covered at the press conference included where Dexter Fowler might fit in the outfield in 2018. 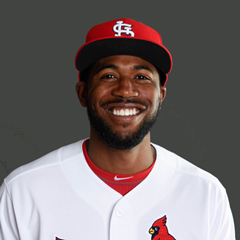 Mozeliak indicated Fowler was never guaranteed that he would play center field for the Cardinals for the duration of his contract, and a move to a corner spot was not ruled out. Fowler’s defensive numbers were not good during his first season as the Redbirds center fielder. Injuries may have contributed some to Fowler’s defensive struggles, but the outfielder has never had better than average numbers at best in center field in his career. The Cardinals have four pending free agents, all pitchers. 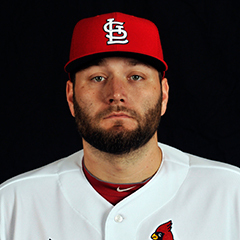 Mozeliak stated that the Cardinals are still weighing the decision as to whether to make a qualifying offer to Lance Lynn. The qualifying offer is set at around $18.1 million dollars for 2018. In addition to Lynn, Juan Nicasio, Seung-Hwan Oh, and Zach Duke are all pending free agents. September closer Nicasio has indicated his desire to remain with St. Louis. There has been no indication that the Cardinals are interested in retaining either Oh or Duke. It was announced at Tuesday’s press conference that the contracts of pitching coach Derek Lilliquist and bullpen coach Blaise Ilsley are not being renewed for the 2018 season. The reason was stated as a desire to change philosophy and approach to managing the pitching staff. The rest of the current coaching staff is slated to return in 2018. Lilliquist had been in the Cardinals organization for 16 years, with the last six as the major league pitching coach. He succeeded Dave Duncan, who retired as the pitching coach at the end of the 2011 season. Lilliquist filled various roles within the minor league organization prior to moving up. 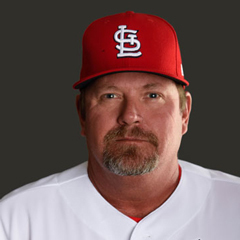 Ilsley joined the Cardinals in 2001, and became the Cardinals’ bullpen coach in 2012. Ilsley spent the previous five years as the pitching coach of the Triple-A Memphis Redbirds. Mozeliak indicated the Cardinals seek a pitching coach more willing to utilize advanced metrics and data compiled by front office staff. Working with manager Mike Matheny is also critical for any new pitching coach. The search for a pitching coach has begun, and the organization will be looking at both internal and external options. 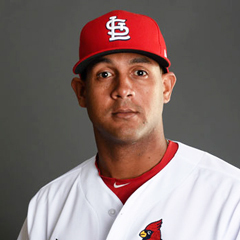 Cardinals outfielder Jose Martinez was named the National League Rookie of the Month for September, Major League Baseball announced on Monday. The 29-year-old had a slash line of .353/.433/.553 in 25 games in September and October. Martinez had four home runs and 18 RBI in that span. All of this was accomplished despite him missing three games in September with a left thumb sprain. Martinez joins infielder Paul DeJong as Cardinals to win the honor this season. DeJong was the NL selection in July. They are the first Cardinals to win the award since Kolten Wong in May 2014. FanRag Sports’ Jon Heyman reported that a Marlins player indicated the Cardinals expressed interest during the summer in Miami players Marcel Ozuna, Dee Gordon, and Brad Ziegler. The interest in Ziegler occurred after Trevor Rosenthal went down with an elbow injury, and subsequently had Tommy John surgery. Derrick Goold of the Post-Dispatch reported that the Cardinals have interest in Japanese closer Yoshihisa Hirano of the Orix Buffaloes. Hirano is an international free agent, unlimited by bonus caps or posting fees. 10/2 In paper transactions, the Cardinals recalled RHP Rowan Wick and RHP Mike Mayers from the Memphis Redbirds, and SS Edmundo Sosa from the Palm Beach Cardinals. The trio are the only 40-man roster players not already brought up to St. Louis in September. 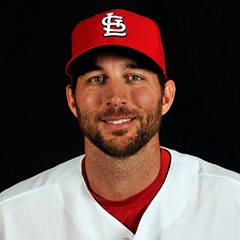 RHP Adam Wainwright underwent an elbow arthroscopy procedure on Tuesday to shave down a piece of cartilage. Wainwright will require six weeks of recovery, but is expected to have a normal offseason and be ready and healthy for Spring Training. Infielder Matt Carpenter will not require surgery for the ailing right shoulder that kept him out of the final series of the regular season. A follow up MRI showed inflammation but no structural damage to the shoulder. Carpenter will undergo physical therapy in his home state of Texas, and will not resume hitting or throwing until early December. Infielder Aledmys Diaz suffered a left hamstring strain in the second inning of the final game of the season. There has been no indication that the injury will impact Diaz’ Spring Training. With the playoffs in full swing, there will be very little, if any, activity by the Cardinals in terms of roster transactions. The conclusion of the World Series later this month signals the official beginning of the offseason. Pending free agents officially enter free agency at 9 a.m. EST on the day following the end of the World Series. What follows is a quiet period, where teams can enter into discussions with their pending free agents about extensions. Other teams are prohibited during this period, which lasts five days, from negotiating with or entering into contracts with another team’s free agents. During this quiet period, teams may make their free agents a qualifying offer, which is valued at about $17.4 million dollars for 2018. Free agents have 10 days following the conclusion of the quiet period to accept or reject the one-year qualifying offer. The Cardinals’ free agents are Lance Lynn, Juan Nicasio, Zach Duke, and Seung-Hwan Oh. The Cardinals are reported to be considering the qualifying offer only to Lynn. The offseason awards period begins in November. Also occurring in November are the GM Meetings, scheduled for November 13-16 in Orlando, FL. Some shuffling of the 40 man roster will occur in the month of November to prepare for the Rule 5 Draft, which is held during December’s Winter Meetings. The playoffs have begun, and the two Division Series in each League are currently underway. The Division Series first came into being by agreement of the owners and players union in 1993. In 1994, both the AL and the NL realigned, increasing the number of playoff teams from four to eight. Due to a player strike in 1994, resulting in a shortened season, this format did not begin until 1995. The Cardinals played in their first Division Series in 1996, when they swept the San Diego Padres 3-0 to advance to the NLCS. The Cardinals returned to the NLDS in 2000, 2001, 2002, 2004, 2005, 2006, 2009, 2011, 2012, 2013, 2014, and 2015. Of those NLDS years, the Cardinals were the winner 11 times, losing only in 2001, 2009, and 2015. The Cardinals swept the NLDS four times, in 1996, 2000, 2002, and 2005. Two of those 3-0 sweeps were over the Padres, in 1996 and 2005. Along with the Division Series, the wild card was also added in 1995, sourced from the non-division winner with the best regular-season record. There was only one wild card team per league from 1995 through 2011. The Cardinals were the NL wild card in 2001 and 2011. A second wild card in each league was added in 2012, leading to a one-game play-in between the two wild cards. The Cardinals were the second wild card team that initial year, winning the play-in game. Since the advent of the wild card, four such teams went on to win the World Series, including the 2011 Cardinals. The others were the Marlins in 1997 and 2003, and the Giants in 2014. Next week, I will discuss the NLCS and the Cardinals history in it.